Being able to detect which infants will later get autism, before the symptoms appear has great promise in that pre-symptomatic treatment may be more effective than treatment after diagnosis. Detection in infancy has the advantage of identifying children at a time when the brain has not undergone characteristic changes of autism and during a time when the brain is most malleable. Response: No one has done this kind of study in six-month olds before, and so it needs to be replicated. We hope to conduct a larger study with different study participants. This marks the fourth autism imaging study our research consortium produced this year. 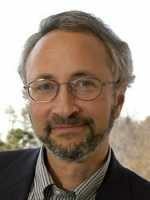 Along with a Nature paper in February, UNC researchers and collaborators published two recent studies in Biological Psychiatry linking increased cerebrospinal fluid surrounding to autism diagnoses and showing aberrant development of efficient brain connections over time in infants who later develop autism. In February, our research consortium published a paper in Cerebral Cortex about the brain network functional connections involved in social behavior deficits in children with autism. We think the most exciting work is yet to come, when instead of using one piece of information to make these predictions, we use all the information together. We think that will be the future of using biological diagnostics for autism during infancy. Response: These studies could not have been completed without a major commitment from hundreds of families, many of whom flew to various sites across the country to be part of these research projects to further our knowledge. We greatly appreciate the commitment of these families. Emerson RW, Adams C, Nishino T, Hazlett HC, Wolff JJ, Zwaigenbaum L, Constantino JN, Shen MD, Swanson MR, Elison JT, Kandala S, Estes AM, Botteron KN, Collins L, Dager SR, Evans AC, Gerig G, Gu H, McKinstry RC, Paterson S, Schultz RT, Styner M; IBIS Network, Schlaggar BL, Pruett JR Jr, Piven J. This entry was posted in Author Interviews, Autism, MRI and tagged autism, MRI by Marie Benz MD FAAD. Bookmark the permalink.